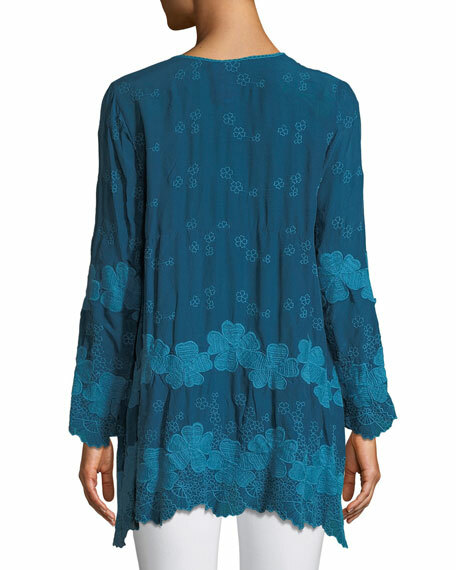 Johnny Was "Fanya" tunic in georgette with tonal shamrock embroidery. 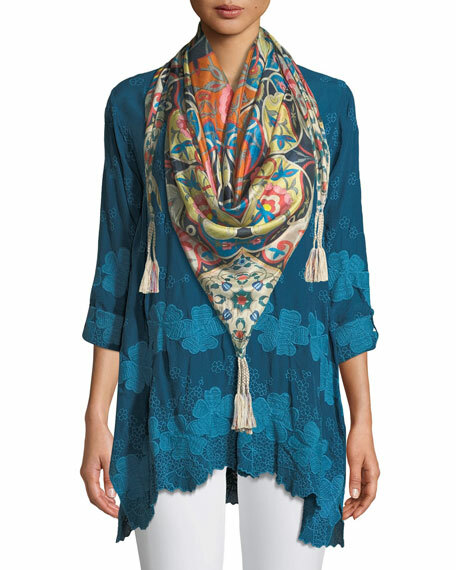 Johnny Was designs draw inspiration from music and bohemian influences. 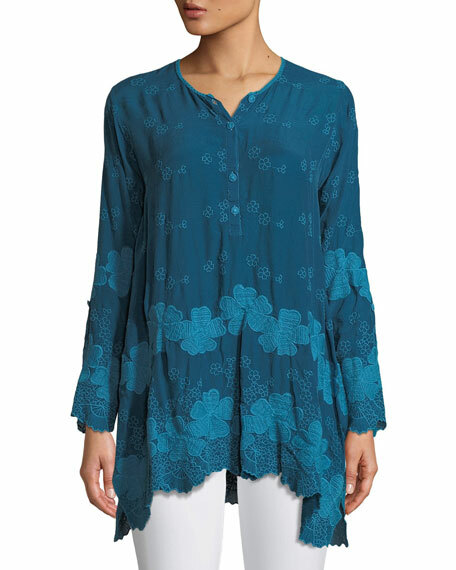 The collection features a modern interpretation of vintage boho chic, with flowing silhouettes and luxurious fabrics. For in-store inquiries, use sku #2641766.